This sign is located at N41 51.603 W80 57.242. 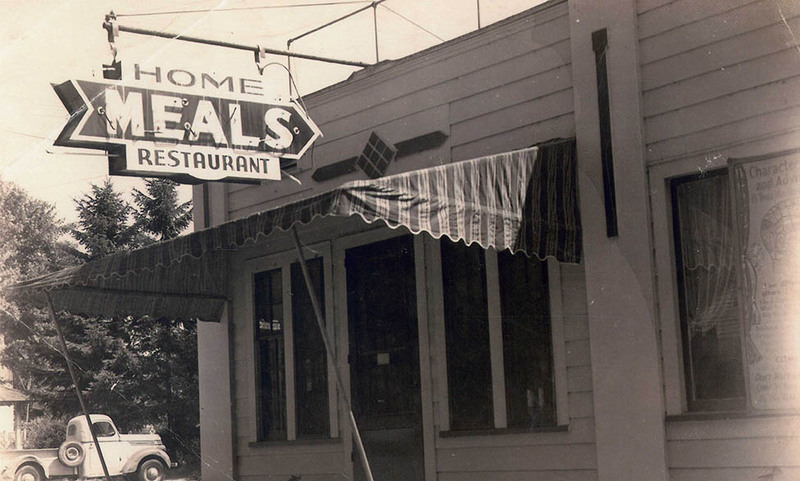 The Home Restaurant was located in the building that now houses Zeppe’s Pizza on The Strip. It operated as The Home Restaurant from 1936 to 1976. The building on the south side of The Strip had a tea house in it prior to becoming The Home Restaurant, which was opened by Forest and Della Hopes and Addie George. The Hopes had run a restaurant in Geneva prior to relocating their business to The Strip. Anna George, Addie’s mother, was to have been involved in The Home, but she died during their preparations for opening. BeBe George Mullin was just a young girl when her family opened the restaurant. She started working there at the age of 12 and spent her summers on The Strip, living in a cottage behind the restaurant. During World War II, the restaurant faced shortages of meat, eggs, butter, cheese and other rationed goods. BeBe recalls them using apple butter rather than dairy butter and cutting a deal with a chicken farmer in Pittsburgh to get eggs. They had to drive to Ashtabula to pick up the eggs that were shipped in from the farm. When Forest and Della decided they no longer wanted to be in the restaurant business, BeBe agreed to buy out their portion of the investment. She was only 19 or 20 years old at the time. Bee would own and run the restaurant for the next 30 years. The Home specialized in homemade meals, breads and desserts. A chalk board outside the restaurant displayed the day’s entrees. Many ladies of the community got their first start in the world of work by waiting on tables at The Home. At the other end of the spectrum, senior woman labored over the baked goods and washing dishes. 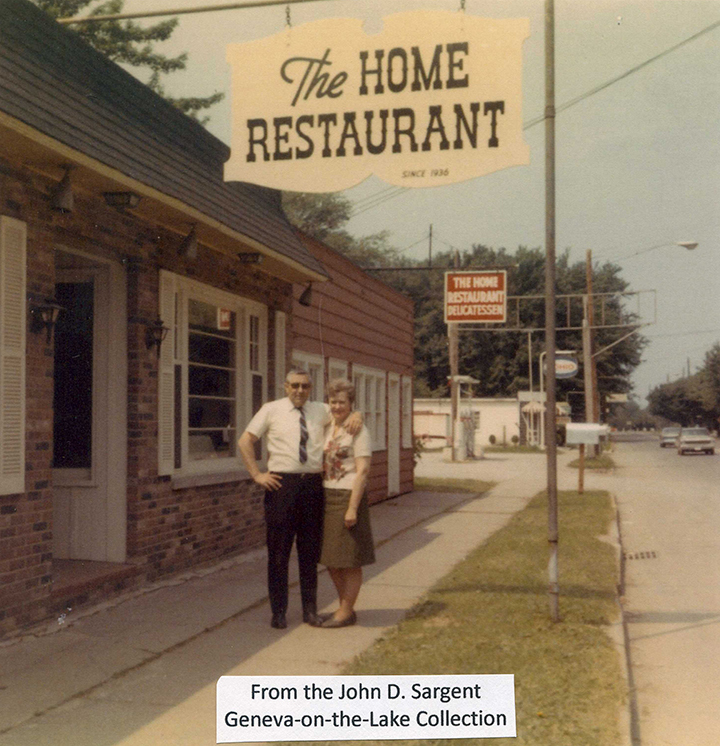 BeBe and Kent Mullin were the last owners of The Home Restaurant. BeBe and her husband, Kent, sold the restaurant in 1976. Kent, a real estate appraiser, helped the restaurant as a salad boy and made the toast. The couple that purchased the restaurant planned to have their daughter run it, but the daughter never opened it and the building was vacant for several years. It re-opened as the Flour Box Inn. BeBe Mullin, in her 90s, lives in Geneva. The video interview was made in February 2015.